Open source is progressively changing the software business at a rapid pace, impacting almost every segment of the market. Content Management Systems (CMS) is one such domain where the vital presence of open source for a decade has inspired long-term foundational growth of the multi-billion dollar industry. The emergence of open source software has been witnessed up close by leading CMS software vendor dotCMS, a Miami, FL based company, offering Java open source content management systems. “Building dotCMS as open source software was one way we could fight against the notion of closed, cumbersome, proprietary systems and really, that philosophy guides our product development today. In some ways, dotCMS was born out of our dissatisfaction with using systems that would lock you in. We were tired of being bullied and pushed around by closed technologies,” says Will Ezell, CTO, dotCMS. dotCMS allows developers to build all types of content driven web experiences. The software is built on open standards: JSON, XML, REST, Spring, OSGI and CMIS and supports almost any HTML5 & CSS3 frameworks. “Our strategy is to deliver our CMS software through two open source editions, the free Community Edition and the Enterprise Edition,” says Ezell. The Community Edition is available as a free download and enjoys an active community of project participants. The dotCMS Enterprise Edition is a fully supported, paid edition that comes in variations for different database formats and application servers. Open APIs (Application Program Interfaces) in dotCMS allow developers to push and pull content from other systems, without the need for any proprietary resources. “Since we’re built on open standards, both dotCMS editions easily integrate with any system,” notes Ezell. 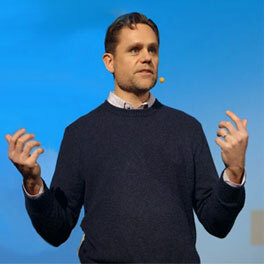 The dotCMS Enterprise edition uses the same core code as the Community Edition and according to CTO Ezell, “We found that while larger,enterprise organizations appreciate our open source roots and open system philosophy they needed the reduced risk and certainty that comes with a company supported edition. Reinforcing their commitment to open source, dotCMS is releasing advanced capabilities that in¬corporate other open source technologies like Elastic search and Redis in the near future. Likewise, dotCMS is focusing on delivering their open source CMS by joining hands with start-ups and large organizations alike. Provider of open source Java Content Management System (CMS) for companies demanding performance in web operations and CMS.